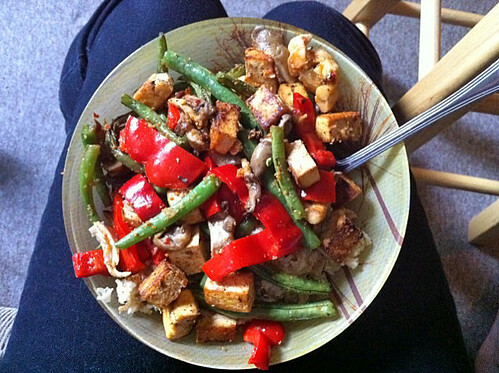 Jay made this thing with fried rice and tofu and red peppers and oyster mushrooms and green beens. With lots of chili powder and sambal oelek. Eating it was a spicy adventure. Thanks Jay!